The Fifties by Pulitzer Prize winning author David Halberstam（1996）Random House（ISBN 978-0-517-15607-0）provides information and analysis on fifites popular culture exploring major social and cultural changes including television, transistor radios, the phenomenon of Elvis Presley and the rise of rock-and-roll. ^ Jim Dawson and Steve Propes, What was The First Rock'n'Roll Record（1992）, ISBN 978-0-571-12939-3. ^ 3.0 3.1 Peterson, Richard A. Creating Country Music: Fabricating Authenticity（1999）, p. 9, ISBN 978-0-226-66285-5. ^ Christ-Janer, Albert, Charles W. Hughes, and Carleton Sprague Smith, American Hymns Old and New（New York: Columbia University Press, 1980）, p. 364, ISBN 978-0-231-03458-6. ^ Davis, Francis. The History of the Blues（New York: Hyperion, 1995）, ISBN 978-0-7868-8124-6. ^ Rock music. The American Heritage Dictionary. Bartleby.com. [2008-12-15]. ^ Rock and roll. Merriam-Webster's Online Dictionary. Merriam-Webster Online. [2008-12-15]. ^ "Rock and roll".（2010）. Encyclopædia Britannica. Encyclopædia Britannica Ultimate Reference Suite. Chicago: Encyclopædia Britannica. ^ 11.0 11.1 S. Evans, "The development of the Blues" in A. F. Moore, ed., The Cambridge companion to blues and gospel music（Cambridge: Cambridge University Press, 2002）, pp. 40–2. ^ P. Hurry, M. Phillips, and M. Richards, Heinemann advanced music（Heinemann, 2001）, pp. 153–4. ^ 13.0 13.1 Schafer, William J. Rock Music: Where It's Been, What It Means, Where It's Going. Minneapolis: Augsburg Publishing House, 1972. ^ 14.0 14.1 14.2 14.3 14.4 14.5 14.6 V. Bogdanov, C. Woodstra and S. T. Erlewine, All Music Guide to Rock: The Definitive Guide to Rock, Pop, and Soul（Backbeat Books, 2002, 3rd edn., 2002）, p. 1303. ^ M. T. Bertrand, Race, Rock, and Elvis: Music in American Life（University of Illinois Press, 2000）, pp. 21–2. ^ A. Bennett, Rock and popular music: politics, policies, institutions（Routledge, 1993）, pp. 236–8. ^ 17.0 17.1 17.2 K. Keightley, "Reconsidering rock" S. Frith, W. Straw and J. Street, eds, The Cambridge companion to pop and rock（Cambridge: Cambridge University Press, 2001）, p. 116. ^ N. Kelley, R&B, rhythm and business: the political economy of Black music（Akashic Books, 2005）, p. 134. ^ R. Aquila, That old-time rock & roll: a chronicle of an era, 1954–1963（Chicago: University of Illinois Press, 2000）, pp. 4–6. ^ J. M. Salem, The late, great Johnny Ace and the transition from R & B to rock 'n' roll Music in American life（University of Illinois Press, 2001）, p. 4. ^ M. T. Bertrand, 'Race, rock, and Elvis Music in American life（University of Illinois Press, 2000）, p. 99. ^ E. Wald, How the Beatles Destroyed Rock N Roll: An Alternative History of American Popular Music（Oxford: Oxford University Press, 2009）, pp. 111–25. ^ 24.0 24.1 Morgan Wright's HoyHoy.com: The Dawn of Rock 'n Roll. Hoyhoy.com. 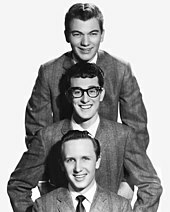 1954-05-02 [2012-04-14]. ^ Bordowitz, Hank. Turning Points in Rock and Roll. New York, New York: Citadel Press. 2004: 63. ISBN 978-0-8065-2631-7. ^ 28.0 28.1 Rockabilly在Allmusic上的頁面. [2009-08-06]. ^ P. Humphries, The Complete Guide to the Music of The Beatles, Volume 2（Music Sales Group, 1998）, p. 29. ^ F. W. Hoffmann and H. Ferstler, Encyclopedia of recorded sound, Volume 1（CRC Press, 2nd edn., 2004）, pp. 327–8. ^ R. Aquila, That old-time rock & roll: a chronicle of an era, 1954–1963（Chicago: University of Illinois Press, 2000）, p. 6. ^ C. Deffaa, Blue rhythms: six lives in rhythm and blues（Chicago: University of Illinois Press, 1996）, pp. 183–4. ^ J. V. Martin, Copyright: current issues and laws（Nova Publishers, 2002）, pp. 86–8. ^ R. Aquila, That old-time rock & roll: a chronicle of an era, 1954–1963（Chicago: University of Illinois Press, 2000）, p. 201. 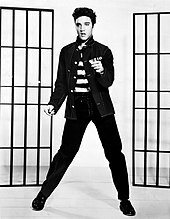 ^ G. C. Altschuler, All shook up: how rock 'n' roll changed America（Oxford: Oxford University Press US, 2003）, pp. 51–2. ^ D. Hatch and S. Millward, From blues to rock: an analytical history of pop music（Manchester: Manchester University Press ND, 1987）, p. 110. ^ M. Campbell, Popular Music in America: And the Beat Goes on: Popular Music in America（Publisher Cengage Learning, 3rd edn., 2008）, p. 172. ^ M. Campbell, ed., Popular Music in America: And the Beat Goes on（Cengage Learning, 3rd edn., 2008）, p. 99. ^ R.Dale, Education and the State: Politics, patriarchy and practice（Taylor & Francis, 1981）, p. 106. ^ 43.0 43.1 British Rock & Roll Before the Beatles在Allmusic上的頁面. [2009-06-24]. ^ 44.0 44.1 D. O'Sullivan, The Youth Culture London: Taylor & Francis, 1974), pp. 38–9. ^ J. R. Covach and G. MacDonald Boone, Understanding Rock: Essays in Musical Analysis（Oxford: Oxford University Press, 1997）, p. 60. ^ M. Brocken, The British folk revival, 1944–2002（Aldershot: Ashgate, 2003）, pp. 69–80. ^ V. Porter, British Cinema of the 1950s: The Decline of Deference（Oxford: Oxford University Press, 2007）, p. 192. ^ T. Gracyk, I Wanna Be Me: Rock Music and the Politics of Identity（Temple University Press, 2001）, pp. 117–18. ^ D. Hatch, S. Millward, From Blues to Rock: an Analytical History of Pop Music（Manchester: Manchester University Press, 1987）, p. 78. ^ 51.0 51.1 British Invasion在Allmusic上的頁面. [2009-08-10]. 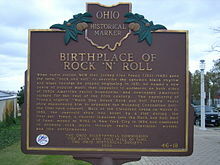 ^ 52.0 52.1 G. C. Altschuler, All shook up: how rock 'n' roll changed America（Oxford: Oxford University Press US, 2003）, p. 35. ^ M. Fisher, Something in the air: radio, rock, and the revolution that shaped a generation（Marc Fisher, 2007）, p. 53. ^ M. T. Bertrand, Race, rock, and Elvis（University of Illinois Press, 2000）, pp. 95–6. ^ H. Zinn, A people's history of the United States: 1492–present（Pearson Education, 3rd edn., 2003）, p. 450. ^ 56.0 56.1 M. Coleman, L. H. Ganong, K. Warzinik, Family life in twentieth-century America（Greenwood, 2007）, pp. 216–17. ^ Lisa A. Lewis, The Adoring audience: fan culture and popular media（Routledge, 1992）, p. 98. ^ R. Aquila, That old-time rock & roll: a chronicle of an era, 1954–1963（University of Illinois Press, 2000）, p. 10.